Reggae on the River returns to French's Camp Aug. 3-5 for more camping, music, food, festivities and floatin' on the Eel River ($85-$225). 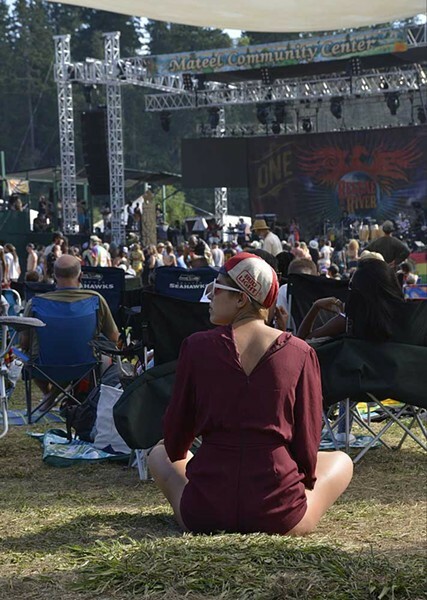 With an uncertain future looming, the event was saved for 2018 when High Times Productions and the Mateel Community Center teamed up to keep the annual iconic reggae fest alive. With High Times' backing, there are some big names headed to the river this year. Israel Vibration, Iration, Mavado and Busy Signal are scheduled to perform, along with The Original Wailers, Arrested Development, Morgan Heritage, Don Carlos, Bambaata Marley, Cham, Wailing Souls, Hempress Sativa and other reggae/world greats. The usual assortment of arts and crafts vendors, nonprofit booths, food and drink vendors, DJs and LED digital stage displays and the KidLandia fun space are also returning, as are feel-good ways you can give back. Portions of the Ambassador Pass tickets benefit Jamaica's Alpha Boys School and Lil Raggamuffins Summer Camp. If the Ambassador Pass' price is too steep, attendees can bring a new or used tool to support the Tools for Change program, which brings humanitarian aid to the rural West African community of Zao in Burkina Faso. Event organizers say some changes are in store this year, such as music starting a little later in the day and more security measures taken at night. They also suggest bringing a gallon of water a day per person, as well as sunscreen and clothing in layers as it's chill during the day and chilly at night. For more suggestions on how to stay irie at the fest and for full line-up and ticket info, visit www.reggaeontheriver.com.